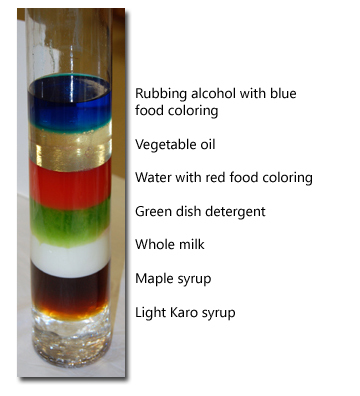 To build a density tower, pour liquids of different densities on top of one another. Add liquid layers slowly! A baster is useful for this. And remember, always start with the densest liquid (Karo Syrup) ! In one glass, mix ice cold water, lots of salt, and blue food coloring. 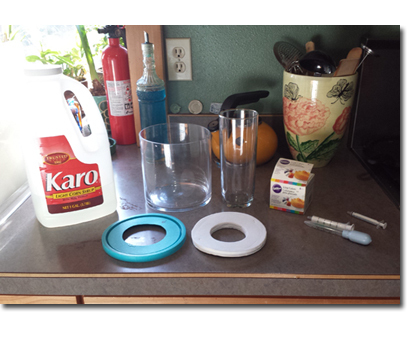 Get a larger glass of room temperature water (or to make it easier, add a pinch of salt to it). Using an eye dropper, slowly add drops of 1) and then 2) to the third glass. Does the cold salty water sink? Can you get the warm fresh water to float? Note: You need need a decent source of wind for this to work. 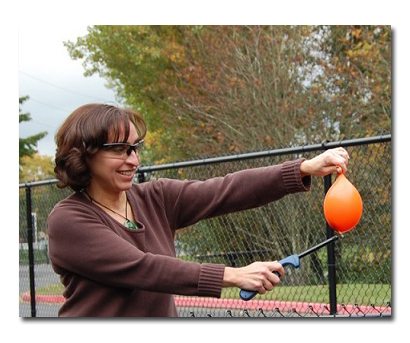 Did you know that a balloon filled with water won’t pop when exposed to flame?! Do you know why? Stick a lighter under each and see what happens. 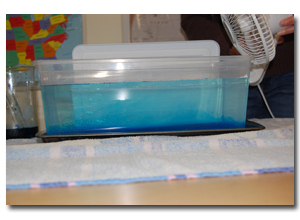 This demonstrates the difference in the specfic heat of air and water. A balloon filled with air will pop immediately when you bring the flame to it. A balloon filled with water won’t pop even with direct contact to flame, due to the difference in it’s specific heat (The water absorbs all the heat!). 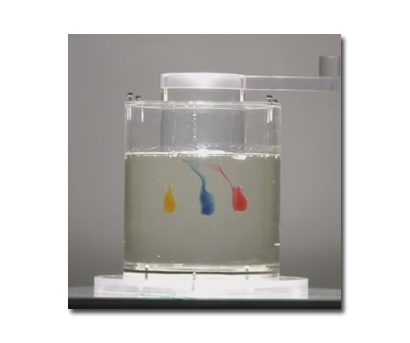 Did you know that laminar flow is reversible! Try this: insert colored blobs of corn syrup into regular corn syrup, spin it around and then “unspin it”. Mix small amounts of the dye and corn syrup in separate containers. These will be the color patches inserted into uncolored corn syrup. 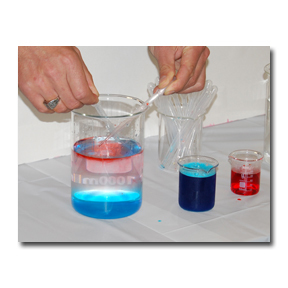 Don’t use the liquid dye – it will change the density of the colored drops too much. Setting it up… position cylinders (small inside large) and put something heavy (water) inside the inner cylinder so it stays in place. Add the corn syrup between the two cylinders. Air bubbles will mess up the dye patches, so it also help to let the corn syrup settle for awhile before doing the experiment. After everything is settled, inject the blobs of color carefully. (Try using three different colors: red, blue and yellow.) Use a clean dropper for each color to avoid contamination and keep things neat. (Corn syrup is messy!!!) 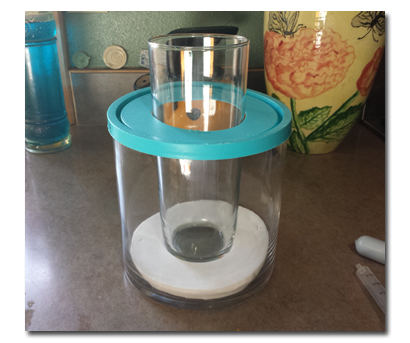 Mark an arrow on the glass cylinder and on the lid to show the starting point. Slowly Spin the inner cylinder three revolutions and stop. Then spin it in opposite direction the exact same amount. The colored blobs to go back to original positions.